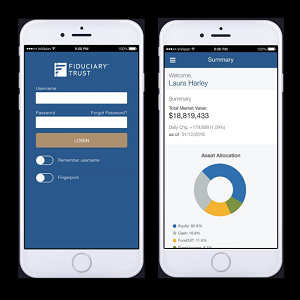 Following the rollout of our new client portal, we now have a Fiduciary Trust mobile app that provides convenient access to your account. The app is available for download in the Android and Apple app stores. Instructions on how to find, download and log into the app can be found here. You must be enrolled in the Fiduciary Trust web-based client portal to be able to use the app. If you have questions or would like to enroll, please contact your advisor or administrator. We hope you enjoy the client portal and app!